Natural Hair | Is Curlkit Worth the Investment? 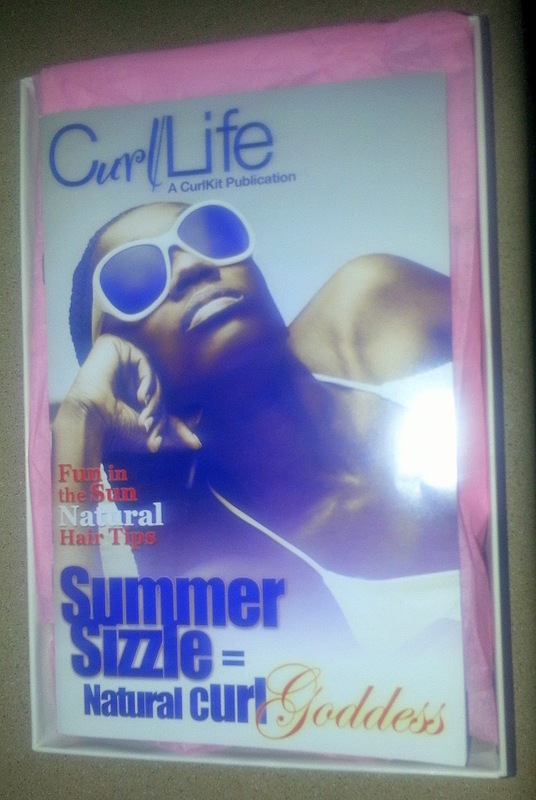 A few months ago, I received the July Curlkit, a subscription box designed for naturally curly hair, to review. As I began to try different elements of the box, I began to realize something. I did not want to review this box how I typically review most items. Although I love doing product reviews and testing items to the max, I just felt like this wasn't the type of review that was needed. Instead, I thought it best to answer this question... Is Curlkit worth the investment? 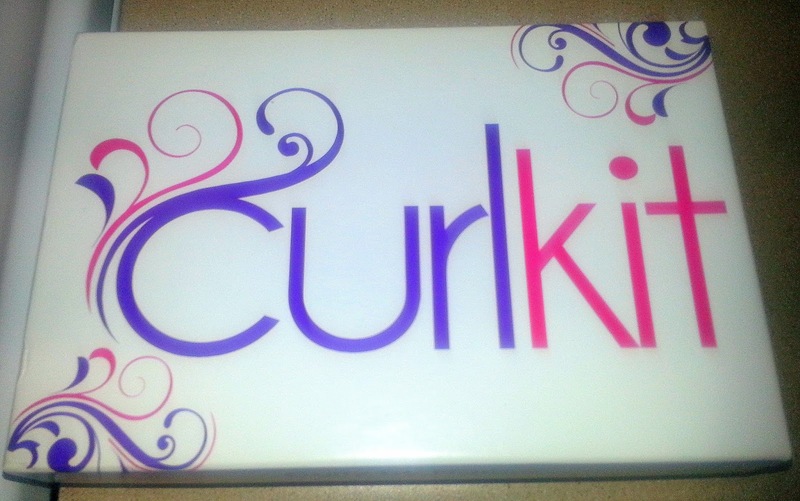 After hearing so much about Curlkit online, I was excited to receive a box for the first time. 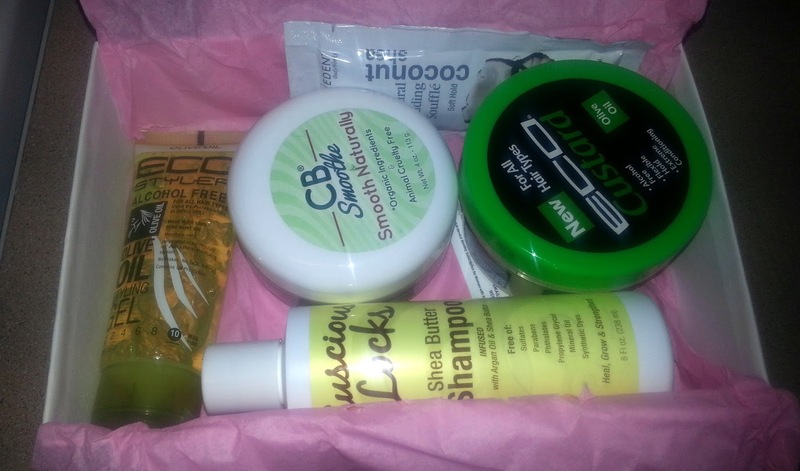 This was my first time ever receiving a subscription natural hair box. I was excited and when I opened it up, I saw it was full of full to mid-size products and a few sample packets. I was impressed. Typically I could take $20 and only be able to purchase two natural hair products max. To receive six to nine products for $20 a month is amazing. Where was this when I first went natural in 2011? That's all I kept thinking to myself. I enjoyed using some of my already favorite products like Eco Styler Olive Oil Gel and trying new things like my first protein treatment. I loved it! YES! I would highly recommend this subscription service to those who are transitioning, newly natural or are just plain old product junkies. If you are someone who has already developed a routine that you enjoy, you may want to skip this box unless you're ready for something new. If you are interested in trying Curlkit or reading more, click here. Have you tried Curlkit? Have you tried a subscription natural hair service? And once again...you gone make me spend money! Hmm I've been on the fence about this subscription but may try after reading this post. Do you end up purchasing full size products or at least come across new must haves? LOL! I'm sorry sis! It's never intentional. I really think this is great for anyone looking for something new. Hey there! Thank you for stopping by and checking out my post today. :-) To be honest, with this box, I did not end up purchasing any full size items because I already had two of the items they included which were the Eden BodyWorks (LOVE) and EcoStyler Gel; however, I did find a protein treatment in there that I REALLY liked! It only comes in packet form. That would be my only new purchase from this box. Haven't tried it and since i"m no longer a product junkie and happy with what I use I think not. I would love to give as a gift to a friend or family member but think I'll pass. Great way to review this product. Girl yes I was saying the same thing about these boxes! Where were they in '05 when I needed help and I was wearing wigs to transition out??! I keep hearing about CurlKit! Thanks for checking out my review Chantel! LOL! This would have been a life saver years ago. I tell you. Thanks for stopping by Kiwi! That color is so pretty on you! I'm in the process of growing mine out. I miss the look & health of my darker hair. 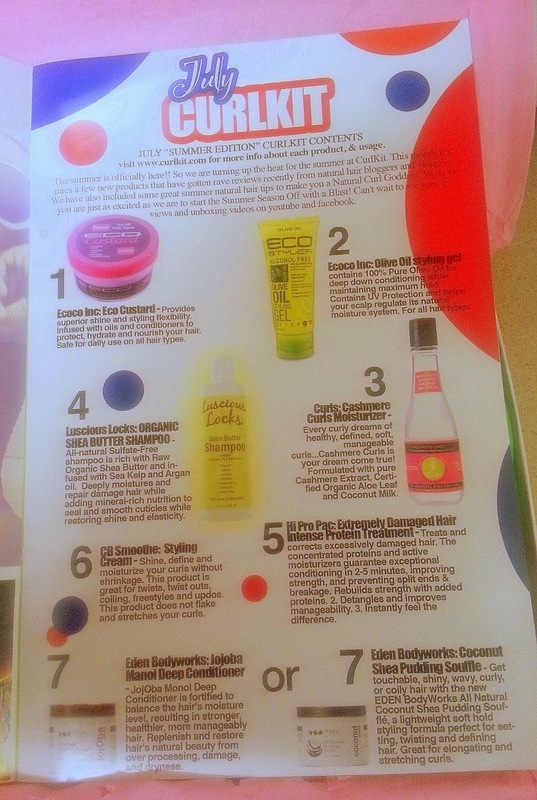 I've only heard of CurlBox so, this is cool. I haven't tried either, but this seems worth it! I love your approach to this review. There are so many different kinds of subscription services out there now, and I always wonder the same thing - is it worth the money? Well, thanks for stopping by Rashida! Please don't blame me for reigniting the PJ! LOL! If you give it a try, let me know how you like it! Yeah, I definitely like this kit and I like how you can sign up anytime versus waiting for a list to become open. Girl, YES! That's what I said when I opened the box. If I was a newbie like yourself, I think this is a great way to go instead of running out to the store every time you see someone try something on YouTube like I did. LOL! I had so many products! Thanks so much for stopping by Krystal! You're so right! Thanks so much for the review! I'd heard of the kit but hadn't gone through with signing up yet. Definitely a great investment for $20 a month and an opportunity to try new products on a regular basis.